One of the 3 exams of the Praxis Core focuses on reading. It consists of 56 questions that need to be completed within 85 minutes. During this time, there are several Praxis Core reading passages that you need to read. Then, you answer numerous questions about the passage. There are 2 types of questions that you’ll find on the exam: literal comprehension questions and critical/inferential comprehension questions. Let’s look at each type and consider some of the ways that you can approach these types of questions. For literal comprehension questions, the answers are found right in the text. You may need to recall details about the passage, retell parts of the story, or put the sequence of events in order. If you don’t recall the answer to one of the questions, you can go back to the passage and reread it. By concentrating on the passage and reading it carefully, you may be able to recall the answers as you read through the options. Doing this helps decrease the amount of time spent on each question. Critical or inferential comprehension questions require a little more work to find the answer. This is because the answer isn’t specifically stated in the text. Instead, the answer is implied, forcing you to make a judgement based on the reading. On top of identifying these things, you may need to compare and contrast details from the text or make other assumptions based on the passage. So what can you do to prepare for the exam? 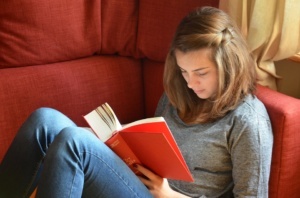 On top of studying literary terms and completing practice exams, open a book. Reading for at least 20 minutes every day can help you prepare to handle the Praxis Core reading passages. After reading the book, discuss it with someone. Tell them about what you’re reading and the themes that you notice. As you get more comfortable doing this, you’ll feel better prepared to handle any passage that comes up on the exam.